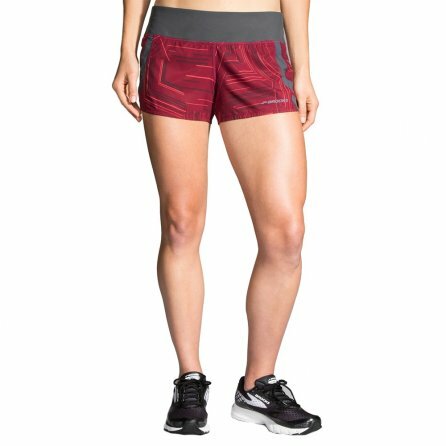 A sleek, athletic running short built for fast runs through hot weather, the Brooks Chaser short provides light, cool design. Its 3-inch inseam and side petal hem splits ensure the full range of motion you demand. A moisture-wicking mesh inner brief provides support and comfort throughout all your runs. The wide, flat power waist offers flattering, snug fit and includes two pockets for storage.